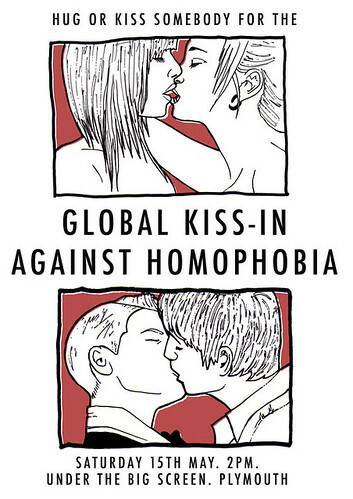 IDAHOT 2010 Great Global Kiss In, a set on Flickr. For International Day Against Homophobia and Transphobia 2010 Pride in Plymouth organised a flash mob style Kiss-in as part of the Great Global Kiss-in Project, held in Plymouth City Centre on the 15th May. The video was mashed in to one of the official Kiss-in video. The Plymouth Video – Captured by Sharon Saturday 15th May, posted on IDAHOT Day May 17th. The Plymouth Video mashed into one of the official Great Global kiss in Videos.